New York Yankees superstar Alex Rodriguez joined the vaunted 500 Home Run Club with a moonshot three-run blast down the left field line at Yankee Stadium against Kyle Davies of the Kansas City Royals on August 4th, 2007. Rodriguez, the 2007 American League MVP, is the youngest ever member of the 500 Home Run Club, achieving the historic mark at the age of 32. Rodriguez finished this game, a 16-8 Yankee victory, 3-4 with three RBI, three runs scored, and a stolen base. 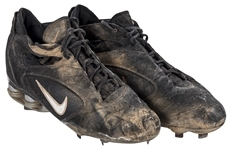 These offered Nike Shox cleats are black, with a white Nike swoosh applied to both sides of each cleat. 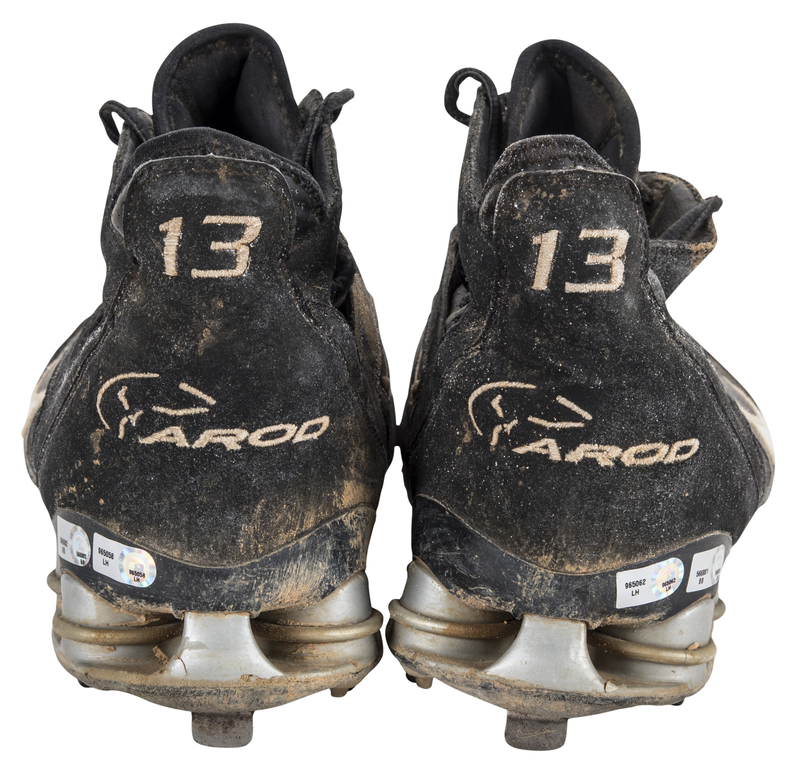 “AROD”, “13”, and Rodriguez’s personal logo are embroidered on the back of each cleat in white. 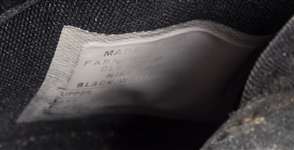 A white Nike swoosh is sewn on each tongue. 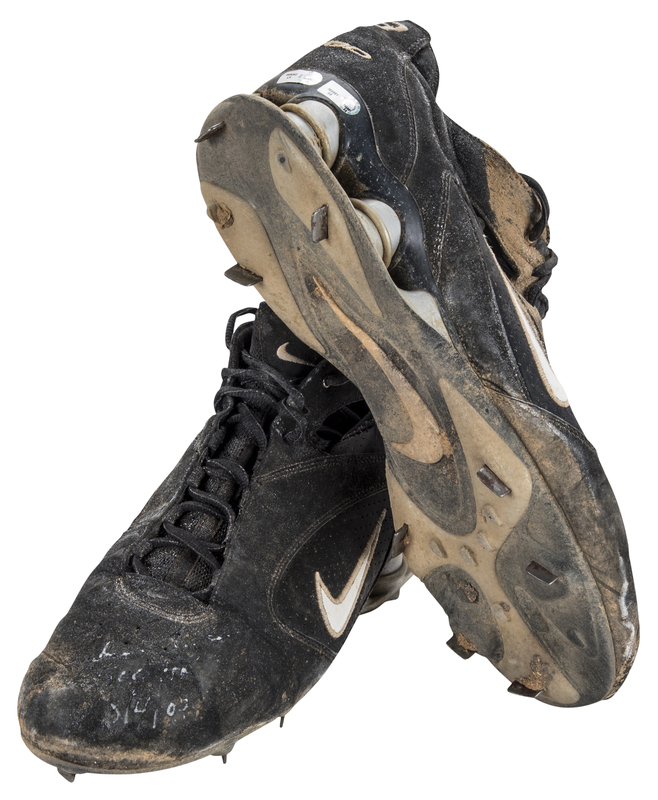 Eight metal spikes are located on the sole of each cleat. These shoes are covered in dirt stains from use during Rodriguez’s 500th home run game. He has signed the toe of each shoe in silver marker, inscribing “500 HR 8/4/07” on the left shoe. 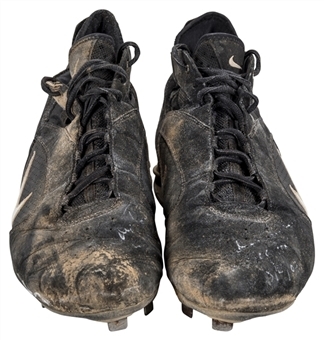 The signatures have faded slightly, however this does not affect the magnificent quality of these historic spikes. Each shoe comes with two MLB Authenticated holograms (right: LH 965062, BB 566981, left: LH 965068, BB 965058).